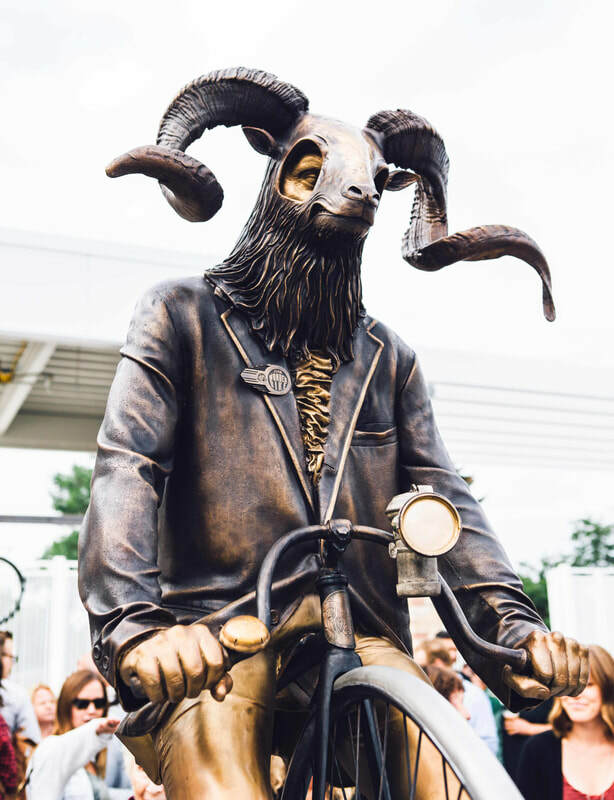 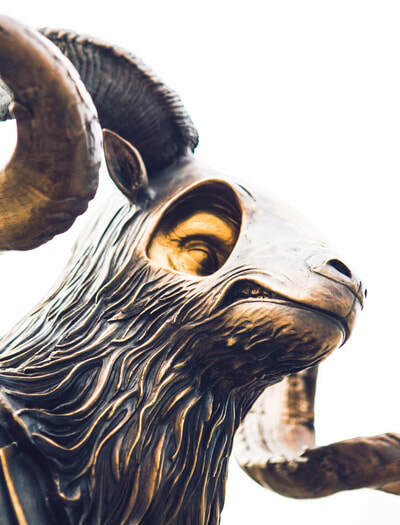 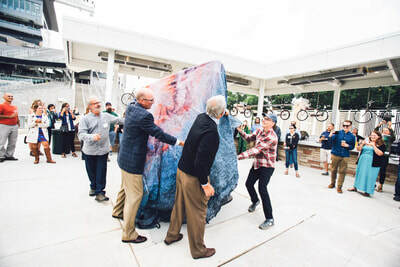 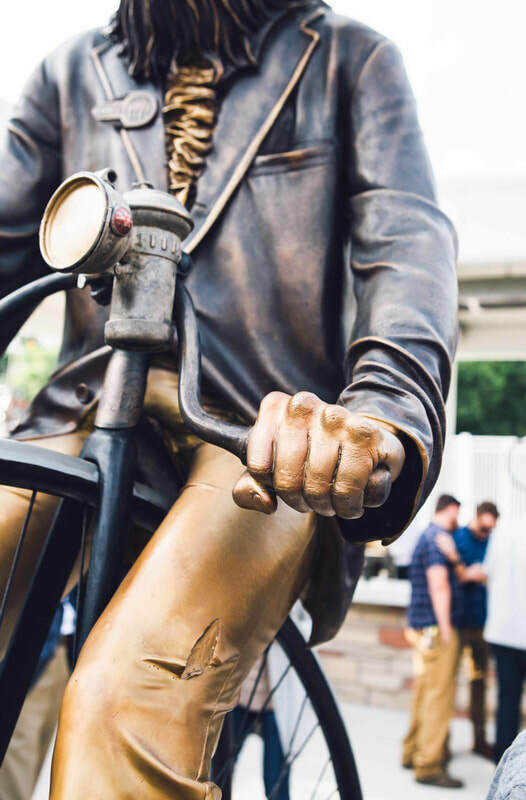 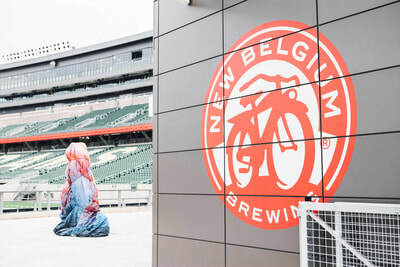 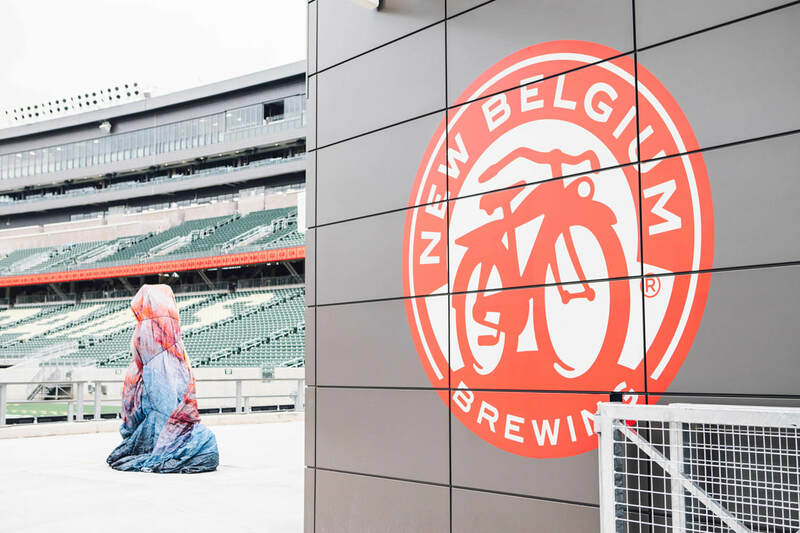 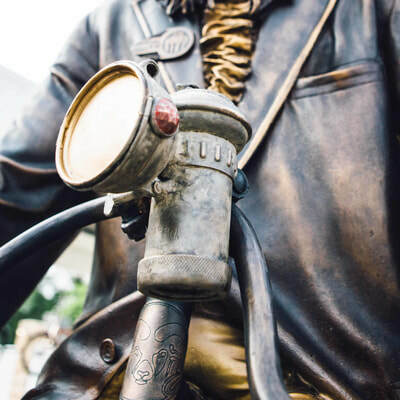 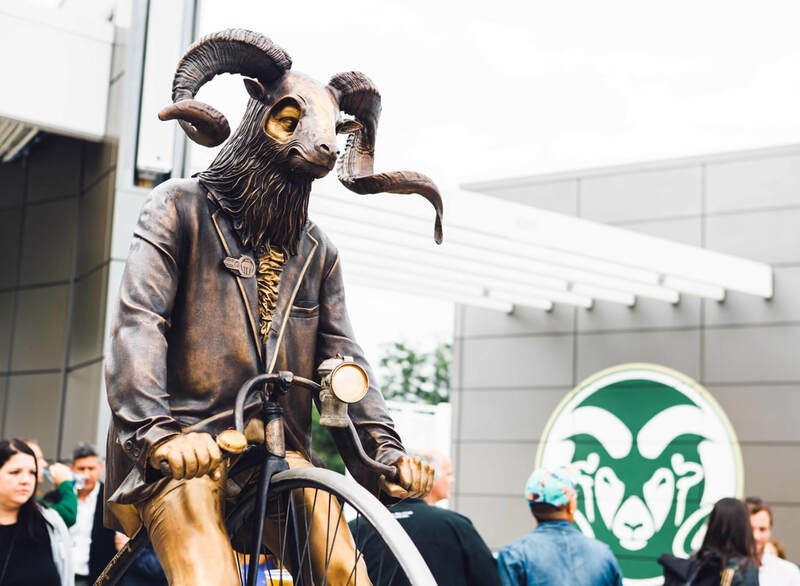 ​Commissioned by New Belgium Brewing Company in Fort Collins, CO, this 8' bronze Ram Rider was installed in 2017. In collaboration with my dad Tim Joseph and our family foundry, I designed, cast and fabricated this monument from bronze and stainless steel. 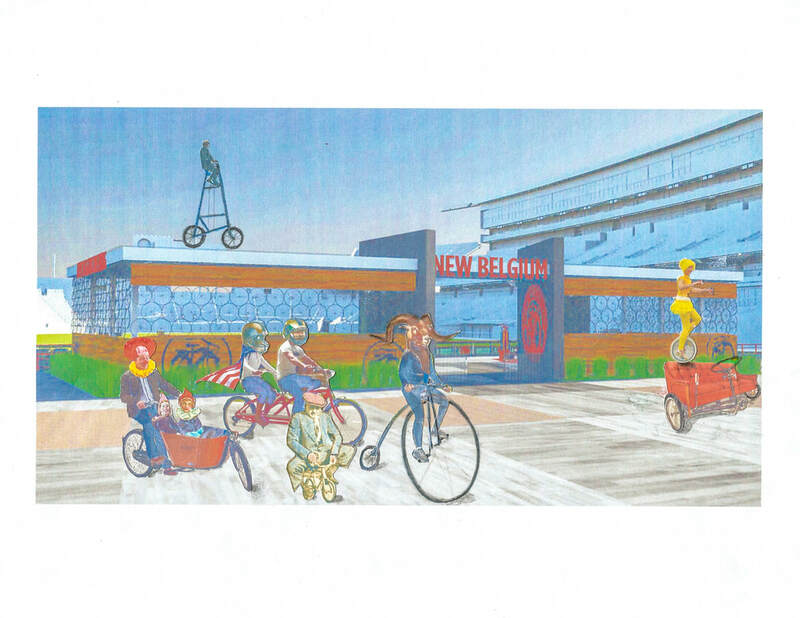 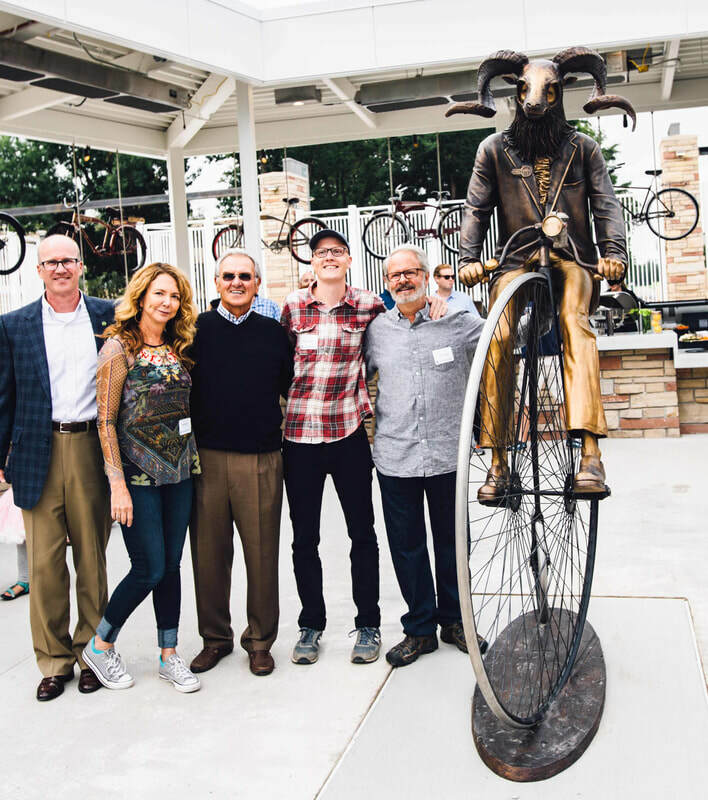 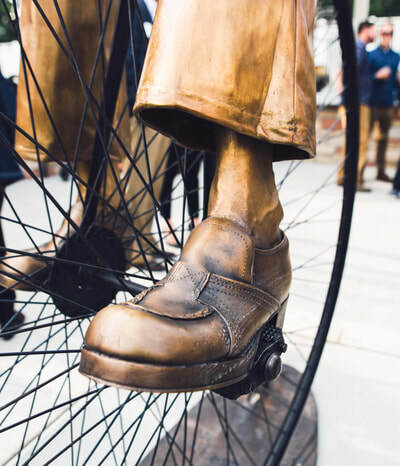 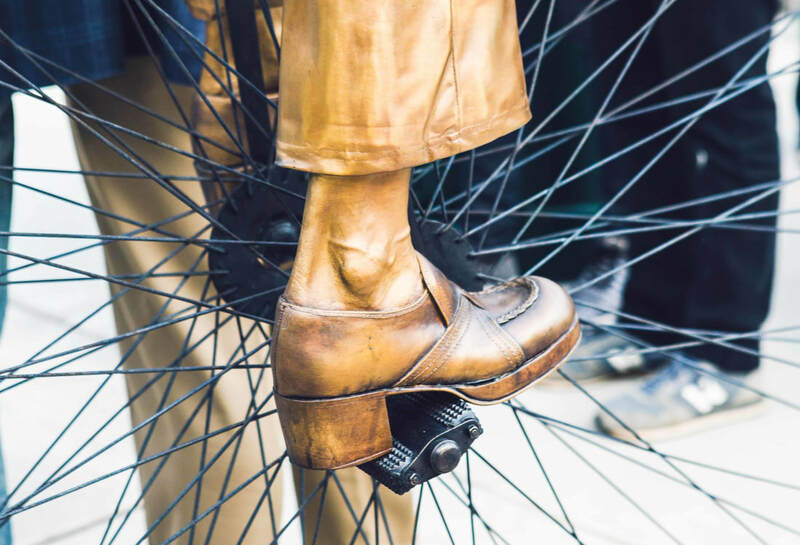 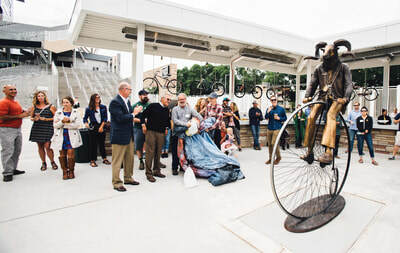 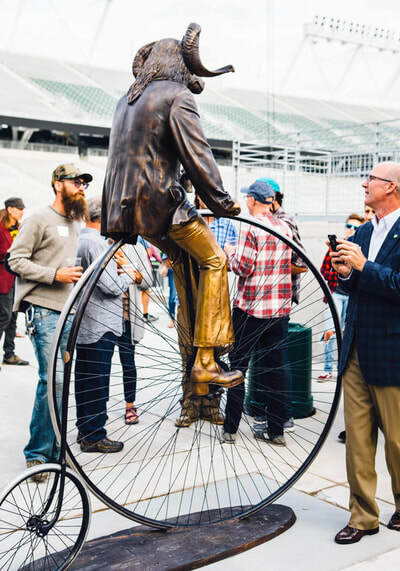 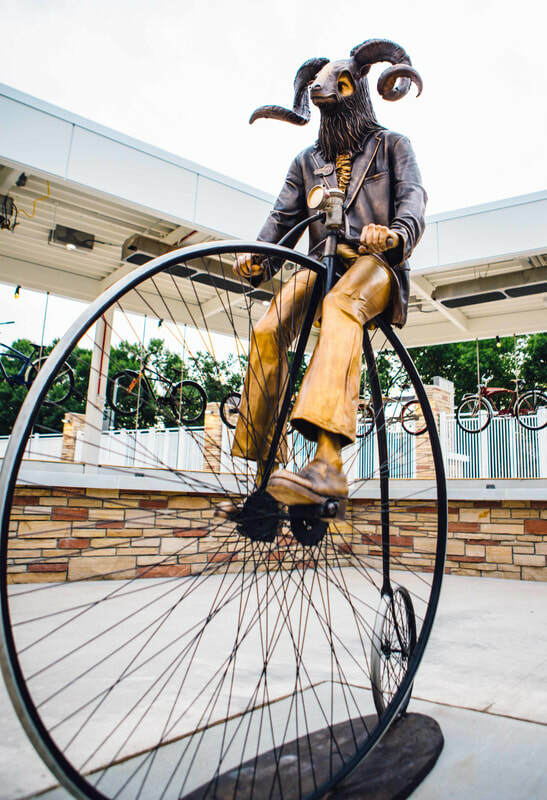 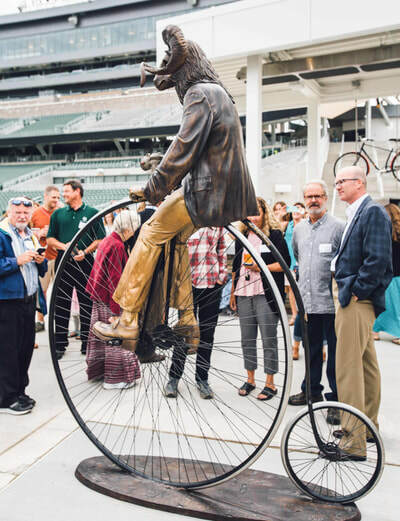 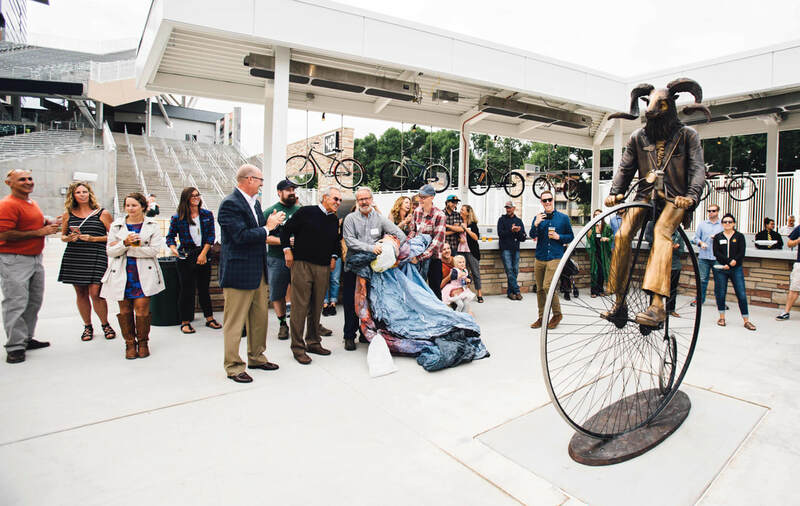 The sculpture depicts CSU football coach Sonny Lubick in a ram mask costume, riding a classic Penny Farthing bicycle and participating in the annual Tour de Fat bike parade. 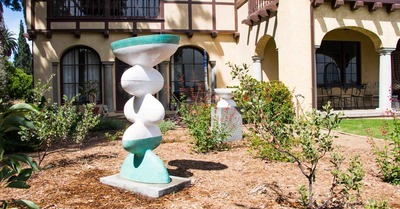 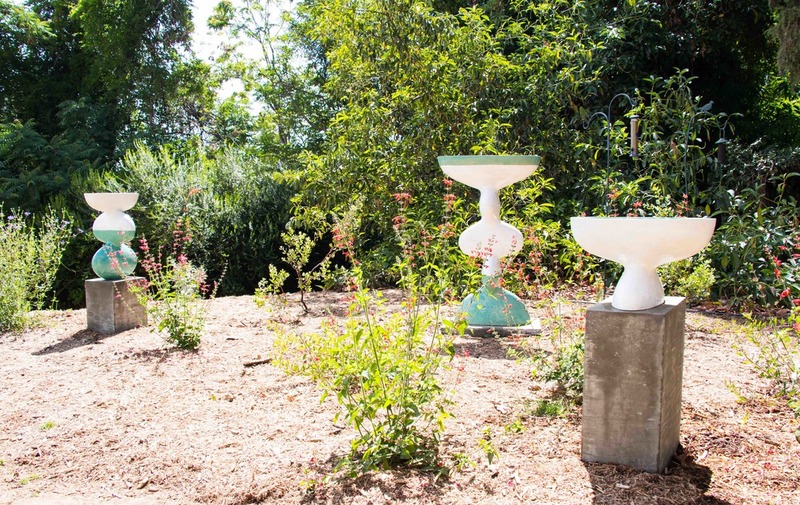 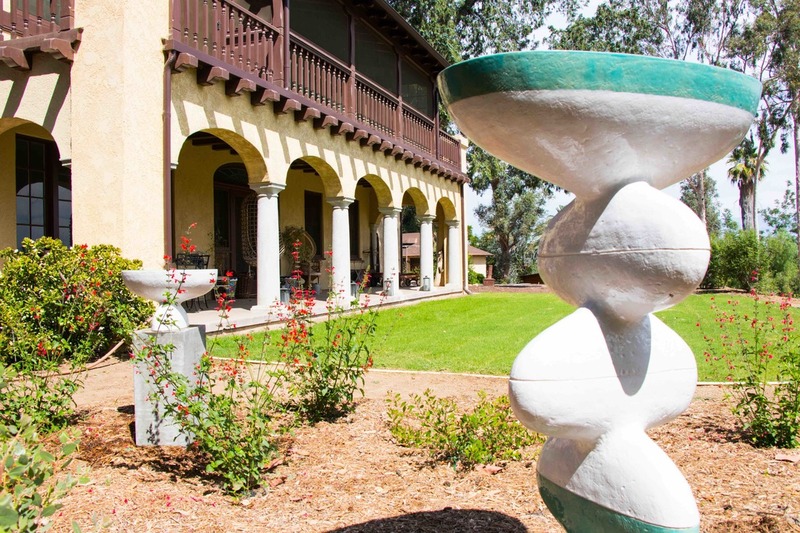 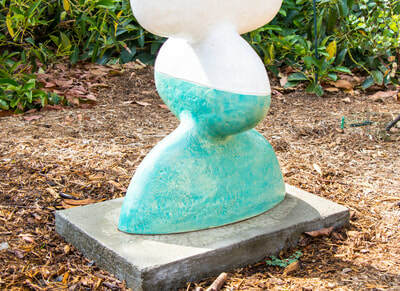 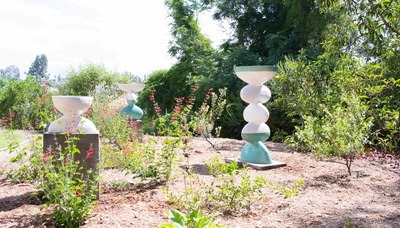 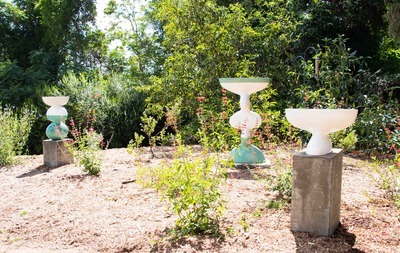 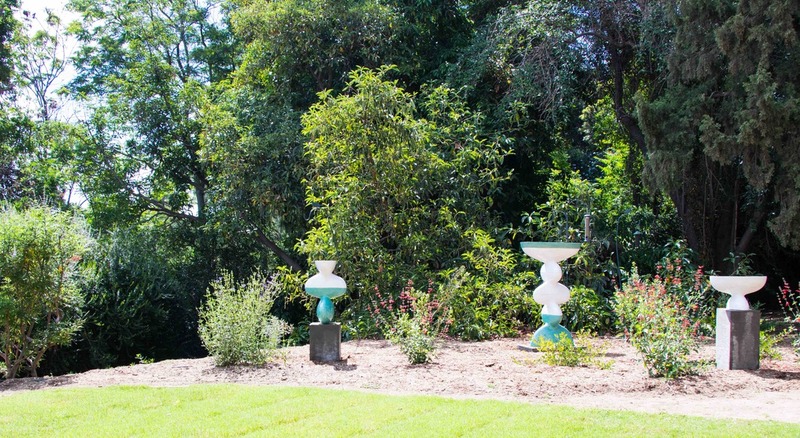 ​Commissioned by the Davidson family for their newly developing sculpture garden, Endless Cactus Fountain, is a 3 part series reaching 5' tall. The forms mimic a local cactus that grows in a repeated pattern, making them feel as if they could go on forever.